The ensemble which currently functions as the Official Parish Choir of the Ukrainian Catholic Church of St. Nicholas the Miracleworker in Toronto was established as a “youth choir” in 1985. Its founding conductors, Roman Hurko and Taras Kovalchuk, studied briefly with the late Maestro Volodymyr Kolesnyk, former director of the Kyiv Opera and Ballet Theatre (1969-72). In 1987, choir member Adrian Ivakhiv took over the conductor’s baton. In 1988, the Rev. Evtymij Volynskyj, the hegumen of the Studite Monastery near Woodstock, Ontario, invited the ensemble on a pilgrimage to the Holy Land, in order to mark the Millennium of Christianity in Ukraine and to pray for the liberation of the Ukrainian Church from Soviet oppression. In 1992, once again thanks to the Rev. Volynskyj and support from the parish, the choir took part in the celebrations attending the transfer of Patriarch Josyf Slipyj’s remains from Rome to Lviv. In 2000, Maestro Hurko returned as conductor, at which time the ensemble was officially designated as the Parish Choir. In 2002, it joined the “Vesnivka” choir in a performance of Roman’s Liturgy 2000, sung to mark the St. Nicholas parish’s 50th anniversary. In 2004, Roman convinced Zhanna Zinchenko, a graduate of the National Musical Academy of Ukraine (2001) (also known as the Tchaikovsky National Conservatory) to assume the baton, and she has conducted the choir since. The choir actively participates in concerts of liturgical music where possible. 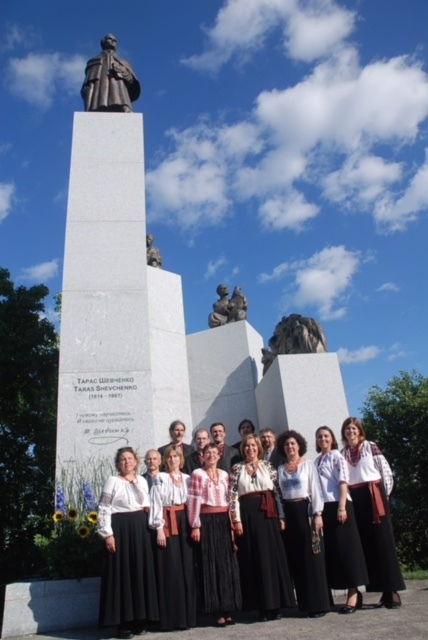 In 2011, the choir appeared as part of the programme associated with the unveiling of the Taras Shevchenko Monument in Ottawa. 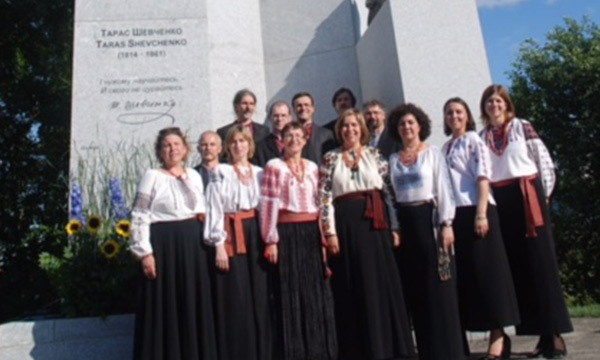 In 2015, the choir participated in a concert of sacred music organized by the Sheptytsky Institute of Eastern Christian Studies under the patronage of the Eparchy of Toronto to honour the 150th anniversary of Sheptytsky’s birth and to gather funds to assist theology students from Ukraine. For the past 12 years, during the Christmas season, the choir has hosted annual concerts of koljady for parishioners and guests, at whcih donations are gathered for Dzherelo, the childrens’ rehabilitation centre in Lviv, Ukraine. In recent years, donations have been shared with activists of the “Maidan” and the Ukrainian Army.